COLLINGWOOD® IS UNMISTAKABLY A PRODUCT OF THE VIGOROUS CANADIAN SPIRIT AND LANDSCAPE. 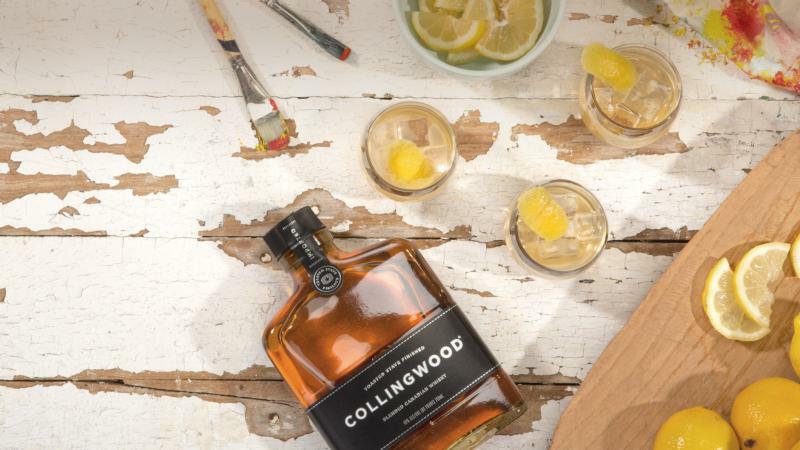 A DISTINCT ARTISANAL WHISKY, COLLINGWOOD IS MADE WITH UNIQUE ARTISANSHIP BY LOCAL DISTILLERS WHO CARRY ON THE EXACTING TRADITIONS OF CANADA'S LONGEST CONTINUOUSLY OWNED AND OPERATED DISTILLERY. ~This small batch of all malted-rye whisky was crafted back in the summer of 1991. It then spent 21 years in oak barrels before resting in its own marrying vat with toasted maplewood just like Collingwood original. The result? The smoothest high-rye whisky you’ll ever taste. Simply wonderful.